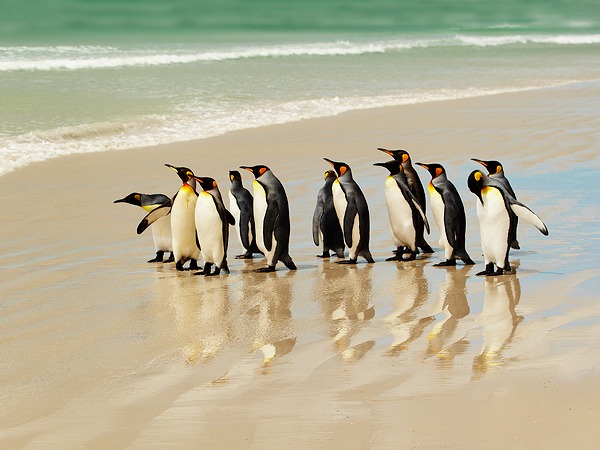 In December 2012, Sue and I visited the Falkland Islands where we saw and photographed a wide range of subjects including five species of penguins which were one of the main targets of our visit. We saw good numbers of several species but just a solitary Macaroni penguin was seen in the middle of a colony of Rockhoppers on Saunders Island. Lots of other great wildlife was also seen and photographed including several Falkland endemics. The Falklands is home to some other great wildlife including Black-browed Albatross, Giant Petrel, along with some good waders such as Dottrel, Plover, Oystercatchers, etc. It also has some great mammals and we saw good numbers of Elephant Seals, Sea Lions, Patagonian Grey Foxes. The weather during our visit was very mixed and often the light was not great for photography, but I have added some images from a great venue which certainly lives up to its reputation as one of the top wildlife destinations in the world. One of the species which I most wanted to see and photograph during our visit to the Falklands was the King Penguin, the image above was captured at Volunteer Point on East Falkland. 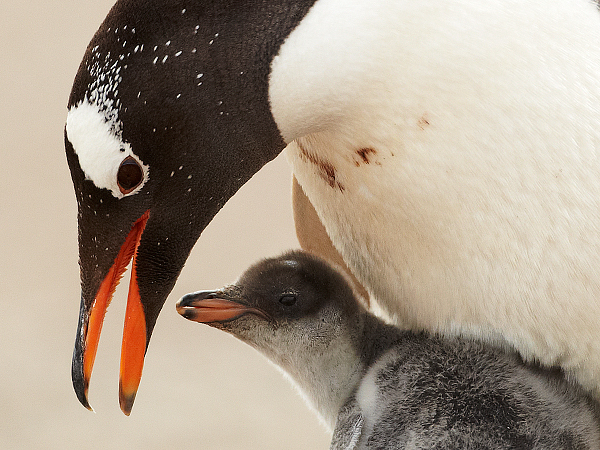 Whilst the image below is of a Gentoo Penguin with its baby only a few days old, this image was taken on Saunders Island.